Baby carriers: Which one is right for you? As expecting parents, one of the first items you will likely look at or register for is a baby carrier. A mother carries her baby close for over nine months so it’s only natural that she and her baby will want to remain close after birth — and well into the toddler years. 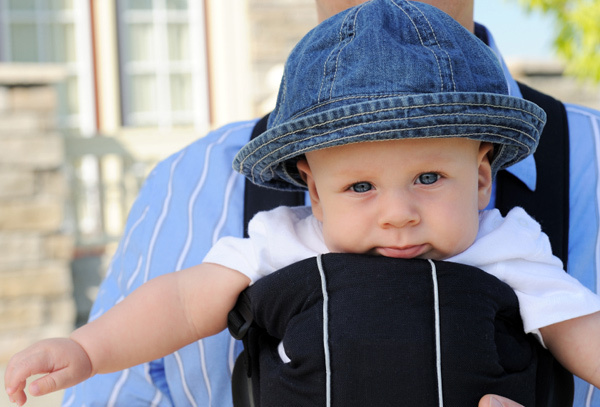 But which baby carrier is right for you? Here are some parent favorites to help you decide which one is best for your baby, your needs, your style and your budget. 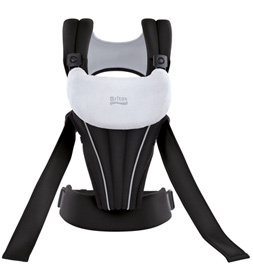 The Britax Baby Carrier is designed to provide the highest level of long-wearing comfort for both baby and parent with unique features like the CarryLong system. The built-in CarryLong system helps to distribute baby’s weight across parents’ hips, back and shoulders — and not the back. The removable newborn insert and cotton bib come standard with this comfy carrier, but you can further extend the comfort level for your child with the addition of the Seat Extender Insert accessory (sold separately). 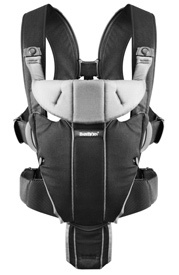 The Seat Extender Insert is for use in the inward-facing position only and creates a wider seating area for children over 14 pounds. The Stokke MyCarrier Baby Carrier has the “Happy Hips” technology to ergonomically position baby while in the inward-facing carry. The MyCarrier allows baby to move with you while being held closer and higher — just like all other Stokke gear. Three interchangeable pieces make up the Stokke MyCarrier -– the parent harness, front carry attachment and back carry attachment. 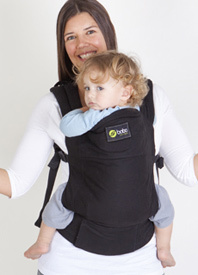 The Original Ergo Baby Carrier positions baby in an ergonomic position — distributing baby’s weight between his or her hips and thighs. In addition to being comfortable for baby, parents find the Ergo to be easy on their backs due to the wide, padded waist strap, which distributes baby’s weight to the parents’ hips and shoulders — instead of the back. The Baby Hawk Mei Tei carrier has a soft semi-structured body and long ties that wrap around mom or dad’s shoulders, back and waist. The built-in, non-adjustable, padded head support is strong enough to cradle a sleeping baby’s head but can also be folded down — once baby has strong neck control — to give baby a better view of the world around her. 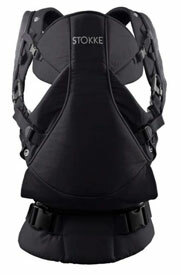 The BabyBjorn carrier was one of the first of its kind, and to this day, continues to be a parent favorite. The newest model, the Miracle Carrier, has an ergonomic waist belt complete with an adjustable lumbar support — making it easier and more comfortable for parents. The innovative lumbar support can be adjusted while the carrier is in use to change baby’s weight distribution from shoulder to hips or vice versa. 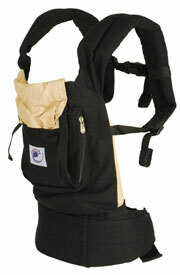 The Boba 3G Carrier easily converts to an infant carrier without the use of an additional insert. 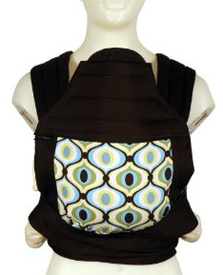 The longer body of the Boba 3G provides head support for infants, as well as additional back support and comfort for older babies and toddlers. The removable child foot straps give children a safe and comfortable place to rest their dangling feet while keeping everything aligned and supported. The Moby Wrap may look slightly intimidating, but just know that parents often compare it to wearing a shirt — it’s comfortable and an easy way to keep your child close. The simple design wraps over both shoulders and ties around the waist, eliminating the need for buckles and straps. With multiple carrying positions, your baby can be placed in the newborn hug hold, hug hold, hip hold and kangaroo wrap and hold. 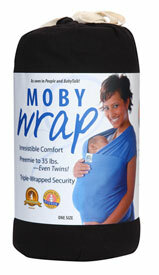 All instructions and safety checks can be found on the Moby Wrap. Infant car seats: Which one is right for you? Convertible car seats: Which one is right for you? High chairs: Which one is right for you?